This past weekend, I journeyed from the arctic of New Jersey to the sub-arctic of Lansing, Michigan. Its not about where you go, but the great time you have visiting dear friends. 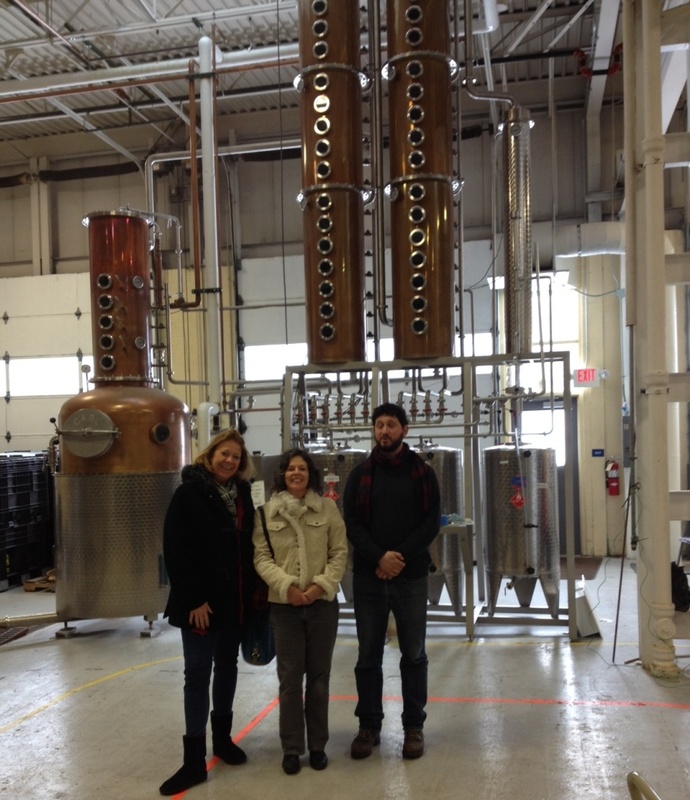 My dear friend, Lori had planned some great adventures for myself and our friend from Ann Arbor.However, the highlight of our adventures was our visit on Saturday afternoon to the Red Cedar Spirits Distillery in East Lansing. So tall, they had to bump up an already super-tall ceiling! 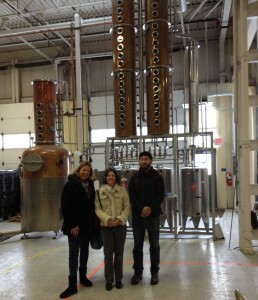 First, we took a most informative and enjoyable tour of the distillery; housedin a former utility plant. 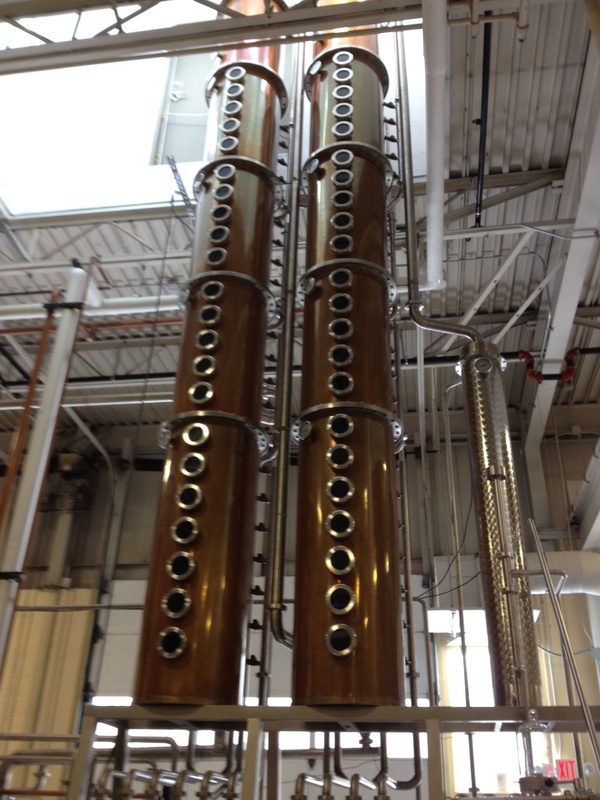 What an awesome experience as we learned about the distilling process, equipment, and intriguing projects currently in the works. It was interesting to learn about the work done there by MSU students and that MSUs distilling program is the only one of its kind in North America. After our tour, we headed to the recently opened tasting room; a comfortable and casual setting, to enjoy a sampling of their products. Their vodka is smooth as silk! I enjoyed and would highly recommend the Ginger Gimlet. My one friend enjoyed their signature apple brandy while the other friend gave rave reviews on the perfectly-made Manhattan, made with their own rye whiskey. We all enjoyed a sampling of the hard ciders as well. A real nice touch was the cheese platter; featuring a tasty gouda and cheddar from the MSU Dairy. Manager, Ari and his staff were knowledgeable and really fun! The prices for the beverages along bottles of vodka, brandy, and bourbon, available for purchase, were reasonably priced. I would highly recommend a tour and tastinga great experience all around.